Last week, I had a craving for ramen so I turned to my trusty Yelp app and searched for places close to where we were. It led me to Ryoji Ramen and Izakaya. 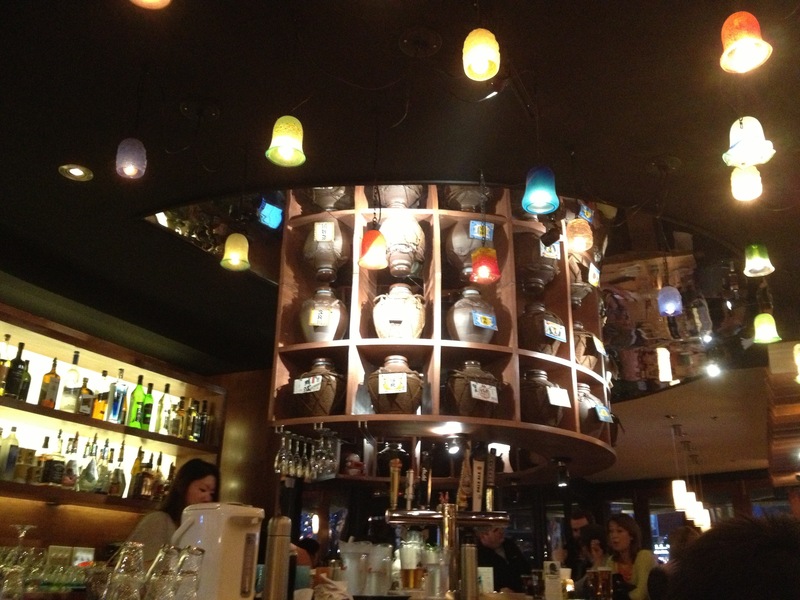 Located in Little Italy/Portugal, the place is relatively new. The decorations were modern, warm and colourful. When we went in, we were greeted by the people in the kitchen but not to the crazy extent as other izakayas in the city. 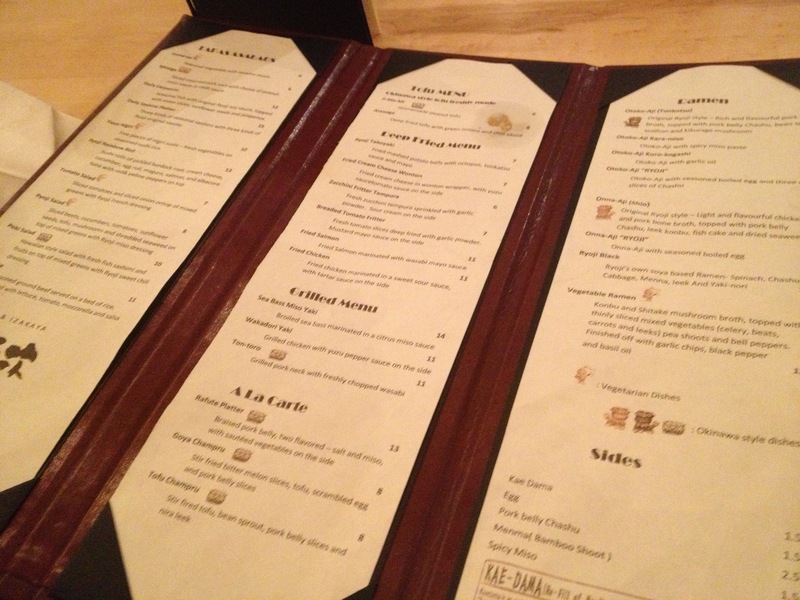 The menu consisted of mostly tapas and ramen. Of course we came for the ramen and we both were craving the Tonkotsu ramen. They asked us if we wanted it soft, regular or hard and we had no idea what that meant until later. 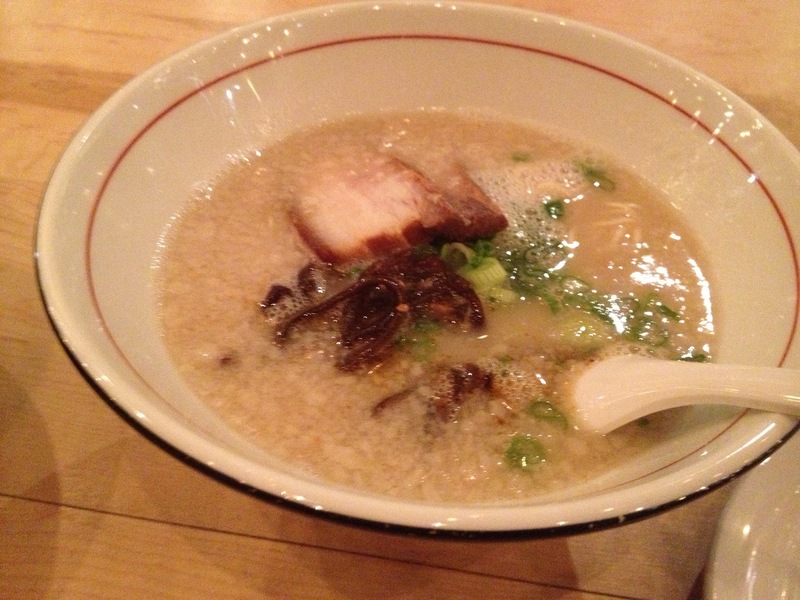 The ramen broth was probably one of my favourites in the city. However, I found for $12 the bowl itself was lacking in something. It was just two pieces of pork belly and ramen with a bit of mushroom and scallions. There wasn’t even like an egg or those swirly fish ball thing in the bowl like the ones you get at Kenzo Ramen for a fraction of the price. 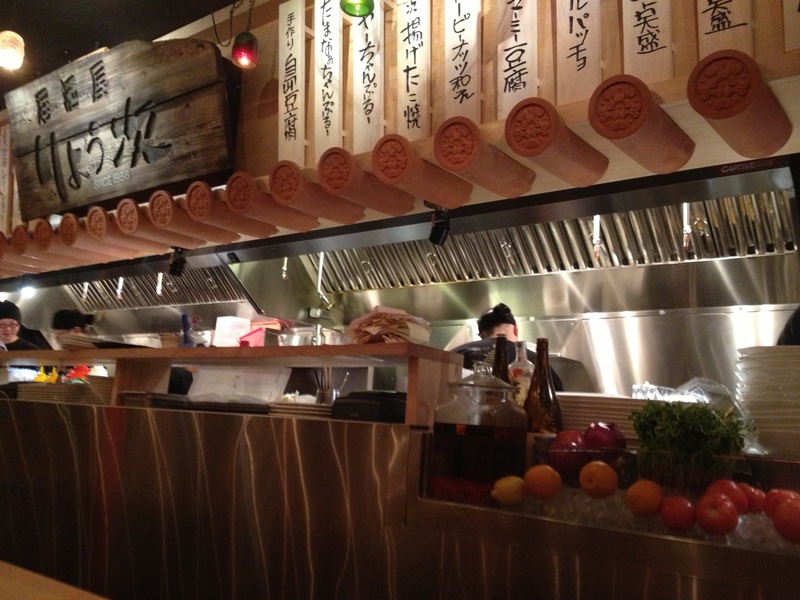 I went for the Izakaya, it was good, but Guu is better! They didn’t even have ramune at Ryoji! It’s saving grace is that it has an epic venue. So pretty.